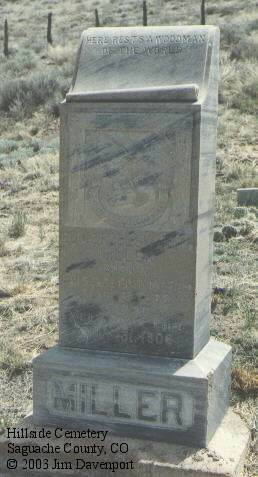 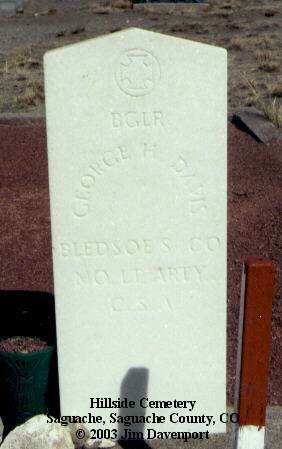 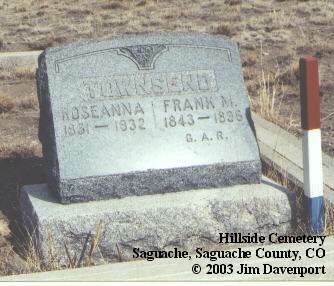 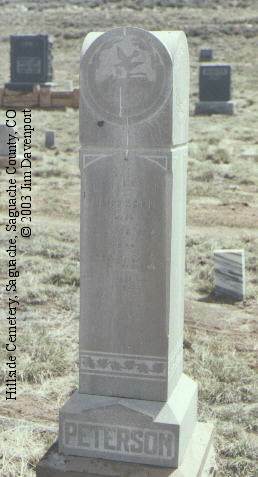 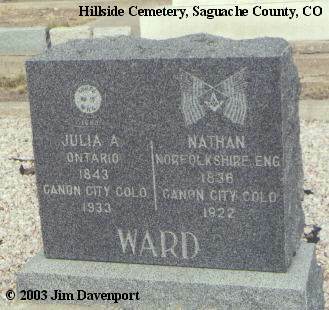 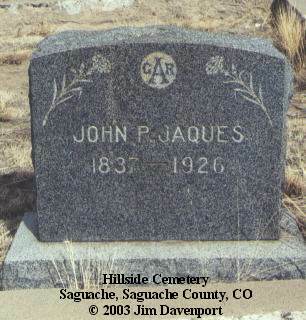 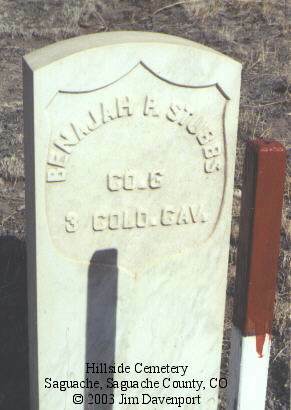 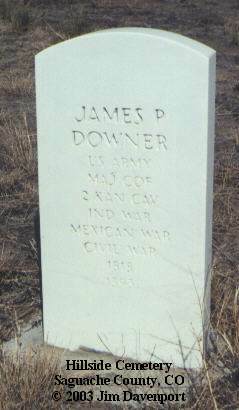 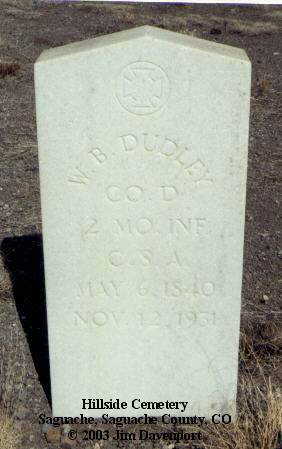 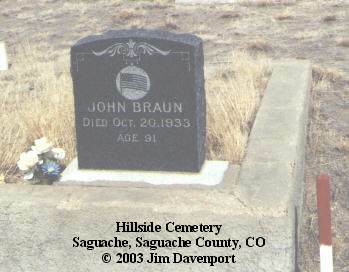 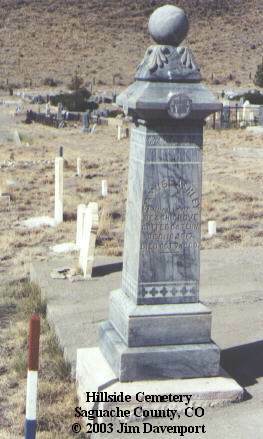 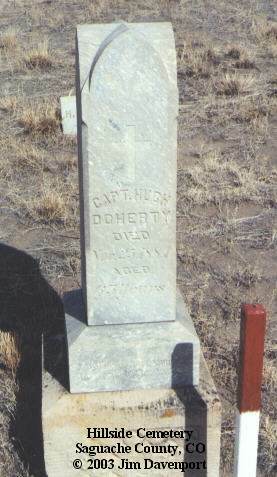 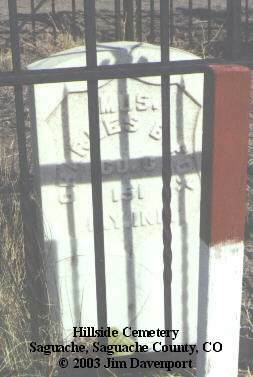 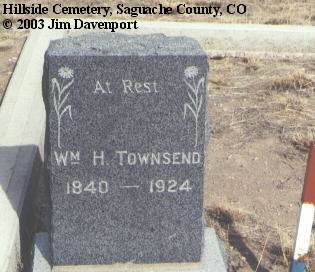 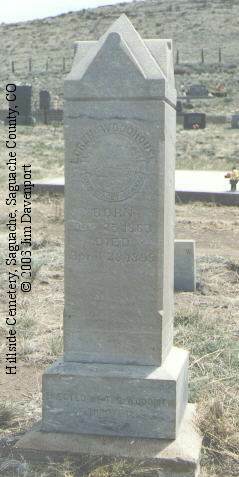 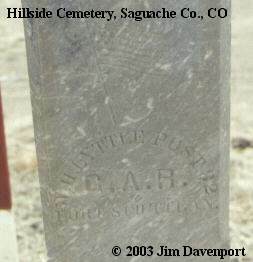 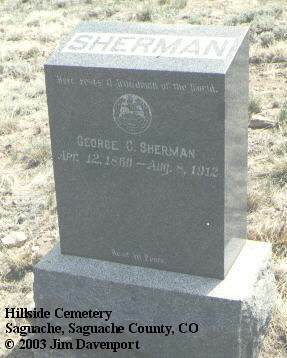 Hillside Cemetery, located about = mile southeast of the town of Saguache, is a true pioneer cemetery established in 1860. 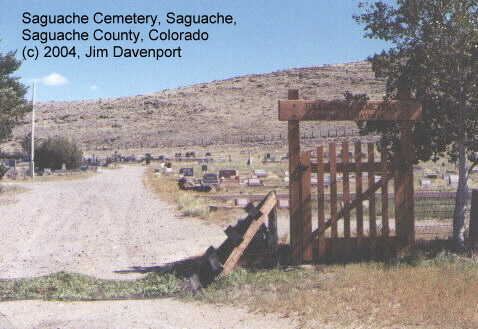 To drive to the cemetery turn east on Pitkin Avenue in Saguache for approximately 7 blocks, turn left for one block and turn right at the stop sign. 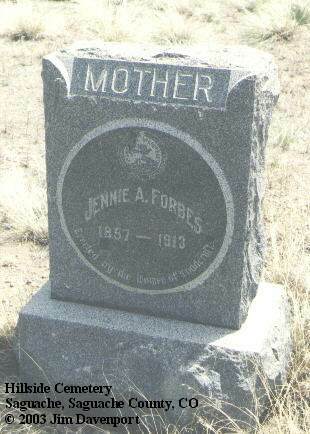 Stay on this road for approximately = mile to the cemetery entrance. 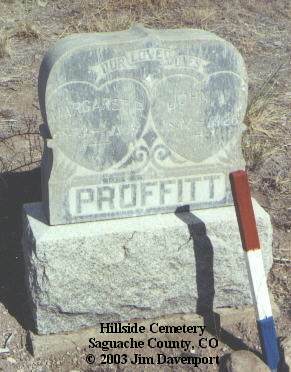 NOTE: Red, white, and blue stakes shown in some photos indicates that the man buried in that grave is a veteran. 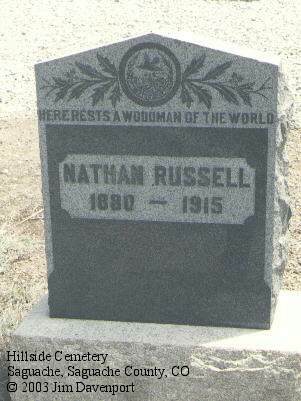 This is true even if there is no notation of military service on his gravestone.